Synthetic corundum displaying natural-like sheen has been known in the trade for years (e.g. Choudhary, 2009), although it is not encountered very often. In addition, there have been reports of a few treated (e.g. fracture-filled) synthetics that are reminiscent in appearance of natural stones (e.g. Choudhary, 2008). Recently the author had a chance to see another such example—a 6.20 ct bright purplish red synthetic ruby with a strong sheen effect and eye-visible orange-stained fractures (Figures 1 and 2). Figure 1: This 6.20 ct bright purplish red oval cut with pronounced orange fractures was identified as a synthetic ruby. Note also the subtle milkiness throughout the stone. Figure 2: The pavilion of the synthetic ruby exhibits a large cavity instead of a culet, which is a common cutting style in ‘old’ stones originating from Burma (Myanmar). Also visible is a strong sheen effect in some areas. With this combination of features, this synthetic can easily be mistaken for a natural ruby. Identification of the specimen as ruby was straightforward by its standard gemmological properties, and at first glimpse it appeared natural because of the strong sheen, surface-reaching orange-stained fractures (consistent with iron staining) and the cutting style. The pavilion of the stone was not properly faceted, and had a large cavity instead of a culet (Figure 2)—a cutting style that is commonly seen in ‘old’ stones originating from Burma (Myanmar). The presence of the sheen made this presumption stronger. When observed with a microscope, the sheen effect appeared to be caused by fine particles (pinpoints) and short needles (Figure 3), mainly restricted near the surface, forming subtle zones. These pinpoints and needles had a diffused appearance, so their orientations could not be discerned. Such an inclusion pattern has been seen previously in synthetic star corundum and in natural corundum with asterism induced by the diffusion of titanium oxide (e.g. Mayerson, 2001). Surface-reaching fractures displayed thick, granular orange material not commonly associated with natural iron-stained films. These two features were sufficient to raise doubt about a natural origin for this sample. Careful observation with transmitted light revealed curved growth lines as well as curved zones of minute particles (Figure 4), as commonly seen in Verneuil synthetics. Interestingly, some planes consisting of minute droplets reminiscent of ‘fingerprint’ inclusions also were present (Figure 5), as were some elongated or ‘bomb-shaped’ gas bubbles. For the record, the specimen glowed bright red under long-wave UV radiation, while short-wave UV yielded a chalky blue fluorescence mainly restricted to the surface, with an internal red glow. Figure 3: Minute particles and short needles cause the sheen effect in the synthetic ruby. Also note the subtle zoning; image width 5.5 mm. Figure 4: Curved growth lines and curved zones of minute particles confirmed the 6.20 ct sample as Verneuil synthetic ruby; image width 5.1 mm. 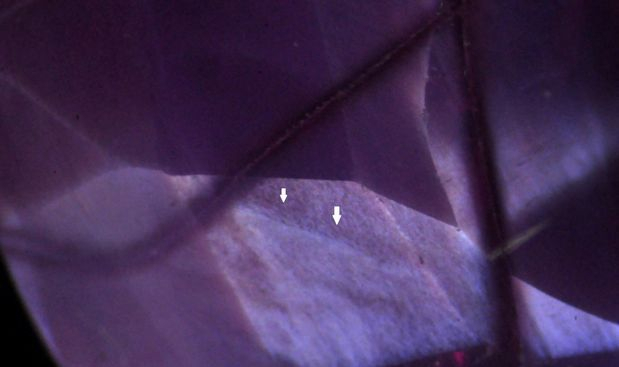 Figure 5: A plane of droplets reminiscent of ‘fingerprint’ inclusion was present in the synthetic ruby; image width 5.1 mm. The overall features suggest that this synthetic ruby had undergone multiple treatment processes: first to induce sheen-causing titanium oxide inclusions, followed by quench crackling and impregnation with an orange substance. Further, this specimen also reminds us that synthetics can still be very tricky to identify, not only for novice gemmologists, but also for experienced gem dealers, making a buying decision much more challenging—especially in situations where only limited gem testing tools are available. Choudhary G., 2008. Gem News International: Two interesting synthetic rubies. 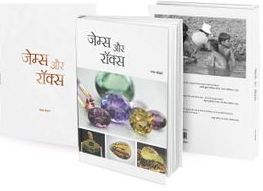 Gems & Gemology, 44(3), 279–281. Choudhary G., 2009. Synthetic sapphires with ‘natural-like’ sheen. Gems & Jewellery, 18(3), 6–9.